One thing’s for sure, Mike Parker Pearson won’t be bouncing up and down on Jeremy Deller’s inflatable replica of Stonehenge this summer. The title of Deller’s artwork, Sacrilege, couldn’t prove more appropriate. 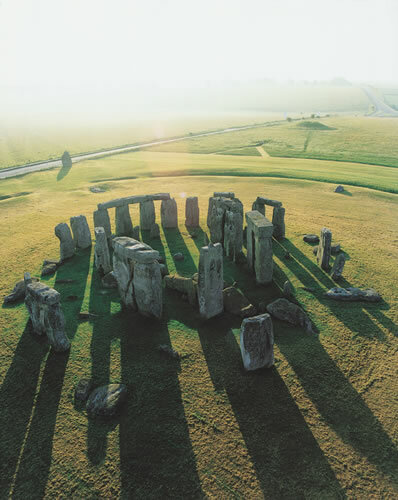 As Professor Pearson establishes once and for all in his (literally) groundbreaking new book, Stonehenge has a very curious connection to the dead. In 1918 the Office of Works rather hastily entrusted the restoration of Stonehenge to the amateur hands of an archaeologist named Hawley. “Archaeology has been likened to a historian reading the last surviving copy of an ancient book and then tearing out and burning every page”, Pearson says. Hawley’s involvement was a bit like this. Until recently, many scholars believed that a wooden structure, like those known to have stood in Durrington Walls, down the River Avon, originally occupied the site at Stonehenge. Chipping away at a rare patch of rubble Hawley had missed in one of the chalk pits (called Aubrey Holes), Pearson and his team of archaeologists have attempted to overhaul that possibility, suggesting that the ground was compressed in such a way as to prove that Stonehenge was only ever made of stone. The eureka moment sprung from a surprisingly simple hypothesis: stone is made to last, wood will perish. Stone, in other words, is ripe for commemorating the dead, wood a material for the living. Though much remains untouched, Stonehenge, which dates to as early as 3000BC, has so far offered up from its chalky soils the cremated burials of over 60 humans. Pearson and his team have also unveiled a handful of remains, dating from the point when the Brits, admitting European influence, switched to burying their dead (after 2400BC). Piecing together this evidence, Pearson presents a compelling reinterpretation of the significance of this landmark monument in time and space. 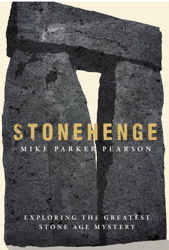 Dispelling many of the myths that have fogged the bare essentials of the site for centuries, Pearson has produced a clear and intriguing argument for viewing Stonehenge as the final resting place for elite, local males of the third millennium BC. With scientists still at work on the human remains from his many years of excavation, that story is still an evolving one. Although his main concern is with a construction associated with death, Pearson does a remarkable job of bringing back to life the hitherto unknown inhabitants of Durrington Walls. The two places, he proves beyond question, were part and parcel of the same Stone Age network, among which early Briton was never just all beard and brawn. He was a masterful architect, Pearson shows, and a hearty eater. Pig teeth, cow bones, bits of beaver, were all uncovered from the Durrington Walls area, helping to characterise it as an important place of celebration in the shadow of Stonehenge itself. The connection between life and death, he convinces, was of primary importance to the builders, and inhabitants, of the monument. Stonehenge has both the taste and the content of an authentic archaeological log-book, and without doubt will become an essential academic source. What sets it apart is the almost pain-staking patience with which Pearson is prepared to break down even the most complex of scientific processes. He has somehow convinced me, probably unwisely, that if left to excavate a field, I’d have a fair idea as to where to start. Was Stonehenge designed for sound? Researchers recreate what ancient site would have sounded like for Neolithic man. 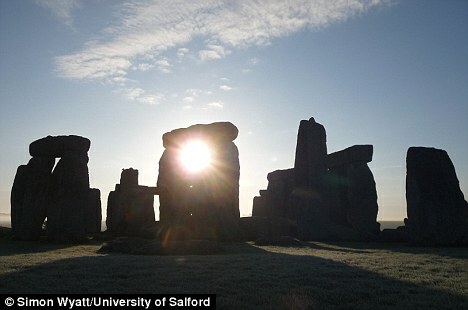 Stonehenge could have been designed with acoustics in mind like a Greek or Roman theatre, a study has revealed. The Neolithic builders of Stonehenge were inspired by “auditory illusions” when they drew up blueprints for the ancient monument, a researcher claims. The radical proposal follows a series of experiments by US scientistSteven Waller, who claims the positions of the standing stones match patterns in sound waves created by a pair of musical instruments. 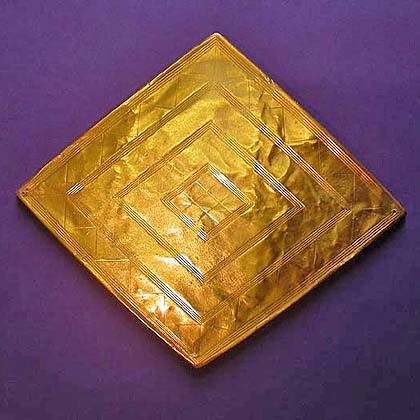 Waller, an independent researcher in California, said the layout of the stones corresponded to the regular spacing of loud and quiet sounds created by acoustic interference when two instruments played the same note continuously. 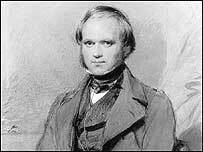 In Neolithic times, the nature of sound waves – and their ability to reinforce and cancel each other out – would have been mysterious enough to verge on the magical, Waller said. Quiet patches created by acoustic interference could have led to the “auditory illusion” that invisible objects stood between a listener and the instruments being played, he added. To investigate whether instruments could create such auditory illusions, Waller rigged two flutes to an air pump so they played the same note continuously. When he walked around them in a circle, the volume rose, fell and rose again as the sound waves interfered with each other. “What I found unexpected was how I experienced those regions of quiet. It felt like I was being sheltered from the sound. As if something was protecting me. It gave me a feeling of peace and quiet,” he said. To follow up, Waller recruited volunteers, blindfolded them, and led them in a circle around the instruments. He then asked participants to sketch out the shape of any obstructions they thought lay between them and the flutes. Some drew circles of pillars, and one volunteer added lintels, a striking feature of the Stonehenge monument. “If these people in the past were dancing in a circle around two pipers and were experiencing the loud and soft and loud and soft regions that happen when an interference pattern is set up, they would have felt there were these massive objects arranged in a ring. It would have been this completely baffling experience, and anything that was mysterious like that in the past was considered to be magic and supernatural. “I think that was what motivated them to build the actual structure that matched this virtual impression. It was like a vision that they received from the other world. The design of Stonehenge matches this interference pattern auditory illusion,” said Waller, who described his research at a meeting of the American Association for the Advancement of Science in Vancouver. “It’s not a complete structure now but there is a portion of the ring that still has the big megaliths arranged in the circle. If you have a sound source in the middle of Stonehenge, and you walk around the outside of the big stones, what you experience is alternating loud and soft, loud and soft, loud and soft as you alternately pass by the gaps and the stone, the gaps and the stone,” he added. Waller argues that his findings are not mere coincidence and says local legend offers some support for his thesis. Some megaliths are known as pipers’ stones, while stories tell of walls of air forming an invisible tower, and two magical pipers that enticed maidens to dance in a circle before they turned to stone. 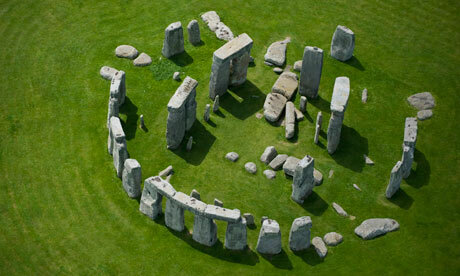 Stonehenge was built in several stages, with the lintelled stone circle constructed around 2,500 BC. The site was originally a burial ground, but may also have been a place for healing. 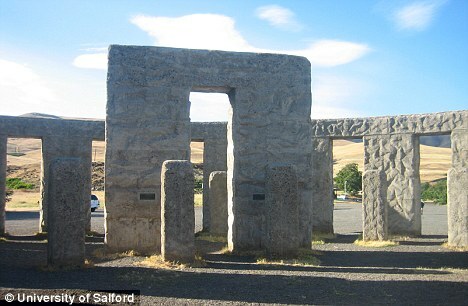 In 2009, Rupert Till, a music expert at Huddersfield University, used a full-scale replica of Stonehenge and computer analyses to show that repetitive drum beats and chanting would have resonated loudly between the standing stones. 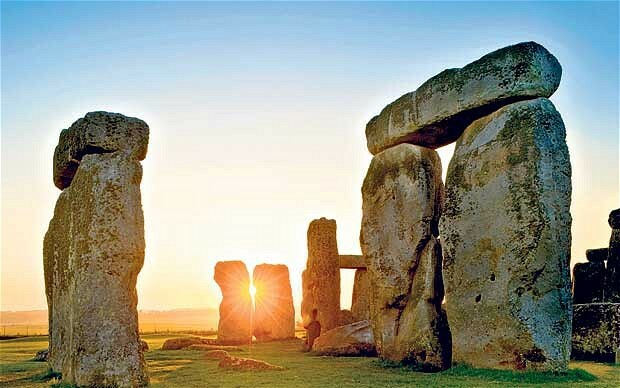 Timothy Darvill, professor of archaeology at Bournemouth University, said that while sound played an important role in events at Stonehenge, the monument was probably not designed with acoustics in mind. As Mid-Winter approaches, it’s time to consider the accompanying consumerfest. Whether you’re buying gifts for someone else, or just giving yourself a year-end treat, the following is a list of books, in no particular order, that we have enjoyed throughout the year. You may too. Note that not all of these are new books by any means, but they are books we’ve read, enjoyed and can recommend. Britain BC: Life in Britain and Ireland Before the Romans – Francis Pryor. The first in a four-part opus spanning athe Ice Age to Modern Times, this books concentrates on the birth of Farming and Agriculture in Britain, a subject close to Pryor’s heart. A History of Ancient Britain – Neil Oliver. A companion to the TV series, this book spans half a million years of human occupation, through several Ice Ages to the Romans, looking at the various objects left behind for us to interpret. A thoughtful read. 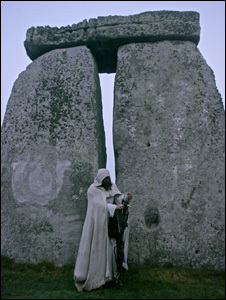 A Brief History of the Druids (Brief Histories) – Peter Berresford Ellis. Forget the romantic antiquarian view of the Druids, this books tells it like it is, using the latest research into classical sources to give a good general overview of life and society in the pre-Roman period. A Brief History of Stonehenge – Aubrey Burl. Although titled ‘A Brief History’, the scope and detail in this book is remarkable. casting aside the more lunatic fringe ideas, this book deals purely in facts, but is no less readable for all that. The ‘Brief History’ series generally is to be recommended, whatever your historical period of interest. The Modern Antiquarian: A Pre-millennial Odyssey Through Megalithic Britain – Julian Cope. First written in the 1990′s and recently re-printed, this book spawned a website of the same name that has gone from strength to strength. A series of extraordinary essays followed by a decent gazetteer of some 300 ancient sites to visit in Britain. Standing with Stones: A Photographic Journey Through Megalithic Britain and Ireland – “Across the length and breadth of Britain and Ireland lies an unsurpassed richness of prehistoric heritage. Standing with Stones is a personal voyage of discovery, taking the reader to over a hundred megalithic sites in a photographic journey through the British Isles.” Stunning photography and an easily accessible text make this book a must-have. A companion DVD is also available. A Guide to the Stone Circles of Britain, Ireland and Brittany – Aubrey Burl. A superb gazetteer of stone circles. Provides what it says on the cover. In our view, an indispensible item. Any of the above should provide a decent background to our ancient heritage. There are of course many more academic books we could recommend which go into fine detail about specific sites or time periods, but those above are targetted to a more general readership. If you think we’ve left anything important off our list, please add a comment to let us know.